Sun cream is the anti-wrinkle cream, and for that reason alone, unmissable in your daily routine. The safe sun filters in the products by Dr. Jetske Ultee offer proper protection against the damaging effects of UVA and UVB rays. 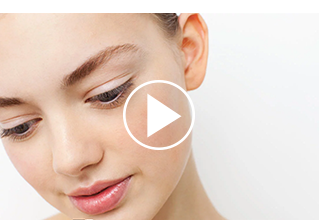 Alongside this, Niacinamide, caffeine and Vitamin E provide extra protection for the skin. 1. Do I really need to apply it? Yes! Not only is the sun responsible for at least ninety percent of skin ageing, but also for the alarming increase in incidences of skin cancer. So protect your skin properly. Preferably every day; summer and winter. 2. What is the difference between the Suncare and the Suncover? 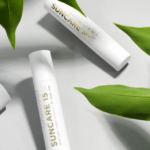 The Suncare range contains a lot more active ingredients, such as Vitamin E and caffeine, than the products in the Suncover range. These substances can limit sun damage whilst also providing protection against UV rays. Suncover protects the skin against UVA and UVB, but does not contain high concentrations of antioxidants. This is not really possible for a body product, in view of the packaging and price. You can find more information about Suncover here. 3. How often should I apply it? Sun filters provide protection for two hours. You will need to re-apply after that. You don’t need to re-apply every two hours in winter unless the UV index is 3 or higher; for example during a skiing holiday. 4. Why don’t you make an SPF50? An SPF15 provides 93% protection against UVB rays; an SPF30 provides 97%. An SPF50 actually offers only one percent more protection: 98%. No sun cream gives 100% protection. Because an SPF50 contains a much higher concentration of sun filters, the likelihood of irritation also increases. It is not the factor which is the most important, but actually the way in which you apply it. Apply a sufficient amount and re-apply after two hours. 5. Does Suncare also protect against UVA rays? The SPF indicates how much protection the product offers against UVB rays. Not every sun cream protects against UVA rays, even though this is extremely important. If a sun cream also provides protection against UVA rays it will be displayed on the packaging. Suncare (and Suncover) protect against UVA and UVB rays. 6. Should I choose the SPF15 or the SPF30? If you have pigmentation spots or skin that burns easily, then the SPF30 is best for you. If not the SPF15 is sufficient. Is Our Sun Cream Waterproof?